We all know that bacon is amazing. But exactly how many purposes can bacon serve? Well now you can use the healing power of meat to heal minor cuts and scrapes. 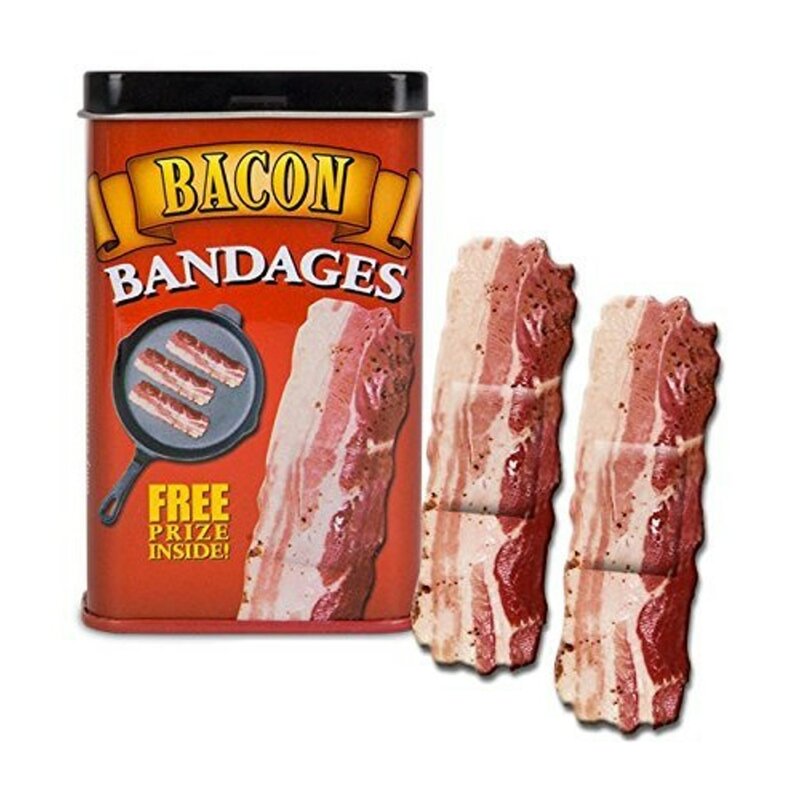 That’s right- introducing Bacon Bandages. Flexible and comfortable, you can now heal your wounds in style and express your love of bacon no matter where you go.